Made exclusively for campervans and motorhomes, the Michelin Agilis Camping is designed to last and will go miles further than its competitors. Safety and a robust desgin are two of the key features of the Agilis Camping. The tyre also has the M + S markings indicating it's performance in both mud and snow. Made exclusively for campervans and motorhomes, the Michelin Agilis Camping is designed to last and will go miles further than its competitors. Safety and a robust desgin are two of the key features of the Agilis Camping. Safety and a robust desgin are two of the key features of the Agilis Camping. 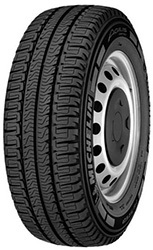 The tyre also has the M + S markings indicating it's performance in both mud and snow.